Nutella, banana, chocolate, peanut butter; you can’t really go wrong if you have these in your cakes or cookies unless, well, the texture is bad. But the name would win a few “pick me” already. 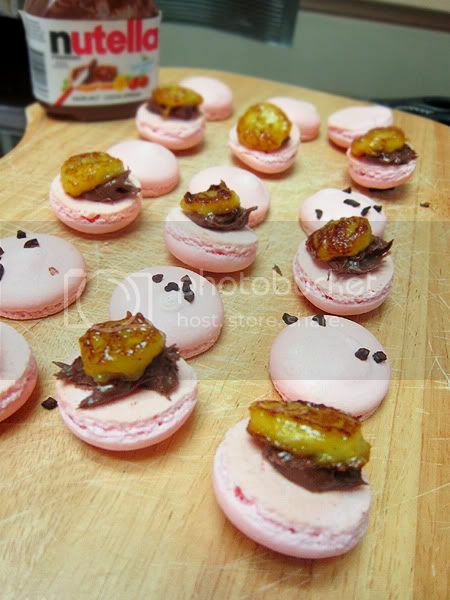 If a toast can have bananas and chocolate, I don’t see why a macaron can’t. Heh. 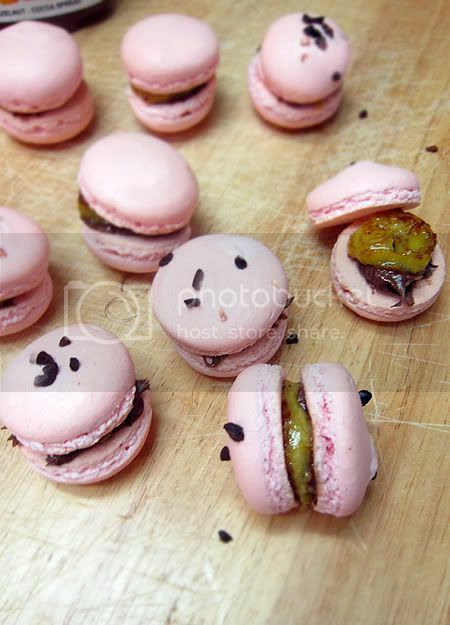 Macarons are very versatile in terms of pairing of flavours. 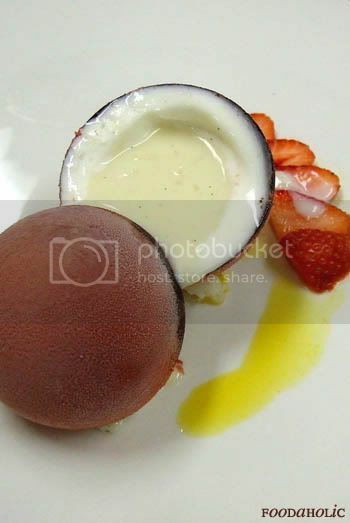 It can be very daring with savoury ingredients like bacon, corn or chili or with the norm like chocolate, vanilla or raspberry. I haven’t had much luck with macarons here. I probably don’t make enough of them to really get the hang of it. It’s like I can probably have one eye closed when making butter cakes or cupcakes, because i’ve made a million times of it. But these little morsels certainly eeks me up sometimes. Let’s just say, it’s not consistent yet. Sometimes I get a floppy batch, sometimes I get a well, pretty good batch. Part A. In a saucepan, boil water and sugar till 116 C to form a syrup. When the sugar syrup is at 112 ish Celcius, start whisking egg whites to a soft peak. When the sugar reaches 116 C, pour in in a consistent stream while beating egg whites in the mixer to form an italian meringue. Continue beating till glossy. Part B. Pulverize icing sugar and almond meal till they’re fine, without lumps. Sift once or twice. Combine all ingredients into a paste. You may add flavours or colour into this paste. Then lightly fold Italian Meringue into the almond paste in 3 portions. 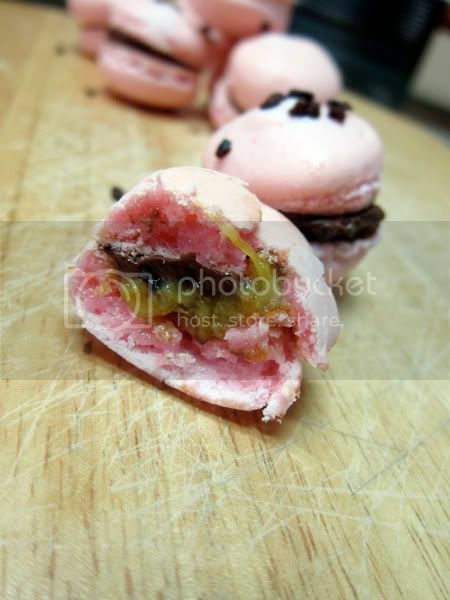 Fill piping bag with a round nozzle and pipe 4cm dots of macaron paste, 2cm apart on silpat or wax paper.Let it rest for about 30 minutes. Sprinkle some cocoa nibs on top for some crunch. Bake in preheated oven at 180 C for about 6 minutes. Bring down the temperature to 160 C for another 5-6 minutes. It really depends on your oven. Some might be spot on in timing, but mine is rather old-fashioned. It takes a bit longer for it to cook. So keep an eye on it. When done, remove from oven and let it cool completely before removing from paper or silpat. They’re absolutely gorgeous! I need to summon my courage and try the Italian method soon too! 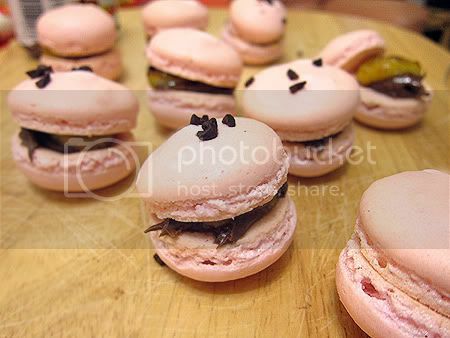 Do you believe that I’ve never eaten a macaron before? Maybe I should try this one day with leftover whites from making ice cream. 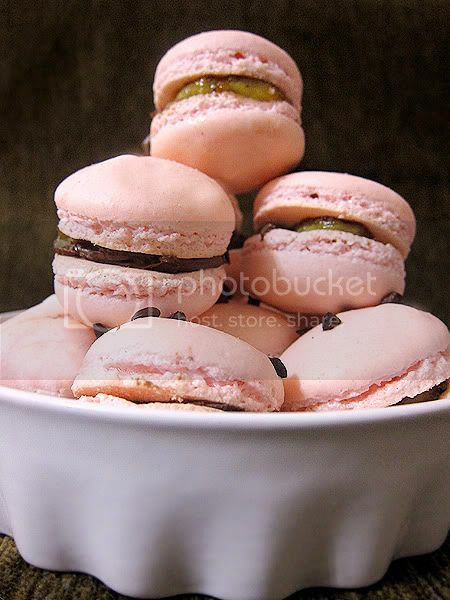 Macarons are not so widely known here so not so easily bought.. plus its a little on the sweeter side.. Yeah, u can try making them..
Bad Behavior has blocked 1395 access attempts in the last 7 days.